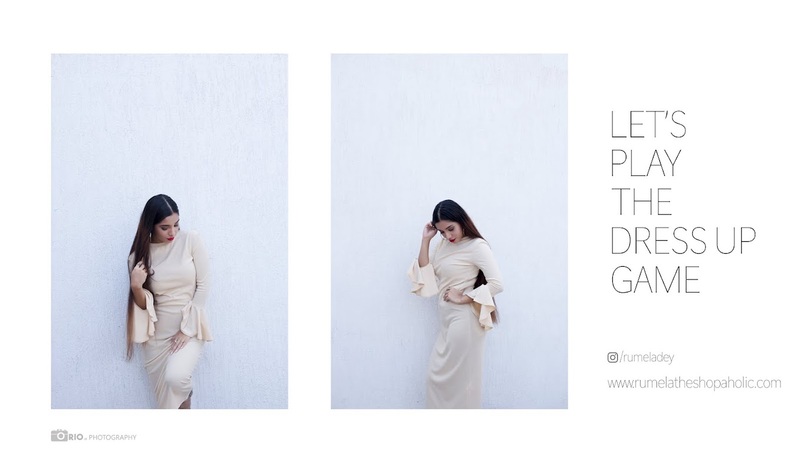 Rumela the shopaholic...: Spring look book: Look 6 in collaboration with Persunmall. Spring look book: Look 6 in collaboration with Persunmall. So the other day I received a mail from a online fashion store called Persunmall asking if I would like to collaborate with them by reviewing there products. So I went ahead and checked their website and I was instantly in love with everything up there. I loved each and everything I saw but felt its a bit pricey and was not sure if things were going to be like the pictures in reality. But any way to be honest with you all I thought I am receiving them free of cost so why not accept their proposal. And am so glad I did because once I received my package I was highly impressed. I picked up the dress I am wearing in the pictures below and and a very trendy purse ( checkout the video here to see the bag) and i absolutely loved tHem both. Just as it is in the picture and most importantly of great quality which justifies their prices rather I would say in comparison to the quality they are reasonably price . The fit of the dress is amazing perfect for both curvy and slim women, well stitched and love the material very soft so very perfect for spring/summer weather. Also the shipping was super fast. Bracelets - Sent by a company. CHECKOUT WHAT'S IN MY PURSE VIDEO. Your outfit is super cute..
such a gorgeous dress <3 Love the heels too!! Loved the outfit.....you look great. this outfit looks so hot on u !! Wow! you look smoking Hot! Cute dress and Gorgeous makeup! I just loved it! Keep the god work! Hello Rumela, thanks for your lovely comment. I'm now following you (Follower #1084). Would be glad if you could follow back. love your outfit and your shoes.Will be eagerly waiting for more.